What was that? Helen sat bolt upright, blinked and shivered, her fingers grasping the edge of the tub. For a few breathless seconds her eyes searched every shadow in the room and her ears listened intently. Nothing. 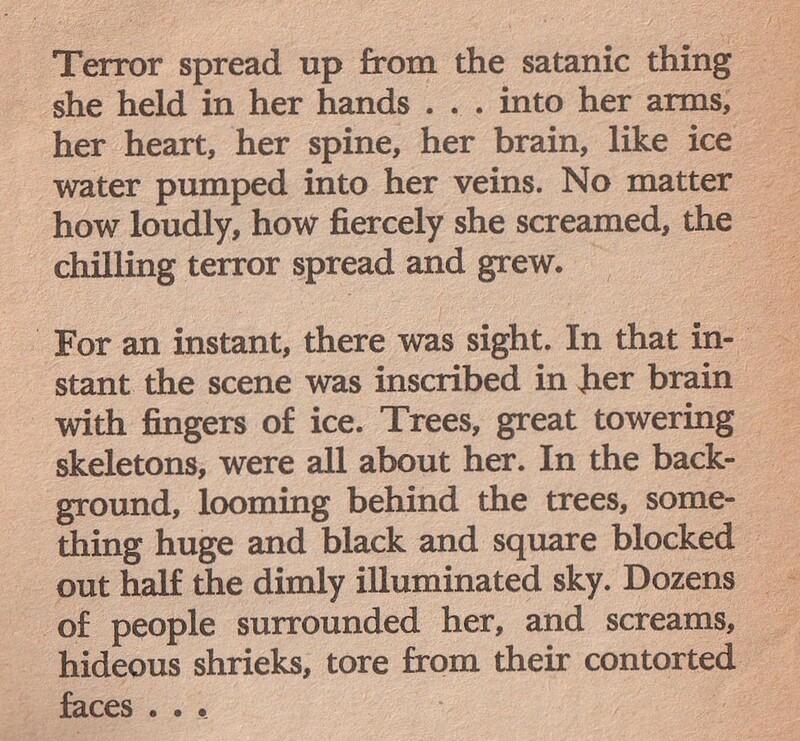 The wind moaned, tree branches scraped the window panes, and Helen was starkly, utterly alone… and terrified! 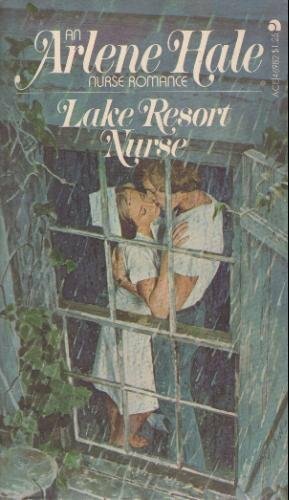 Written by Jean DeWeese. 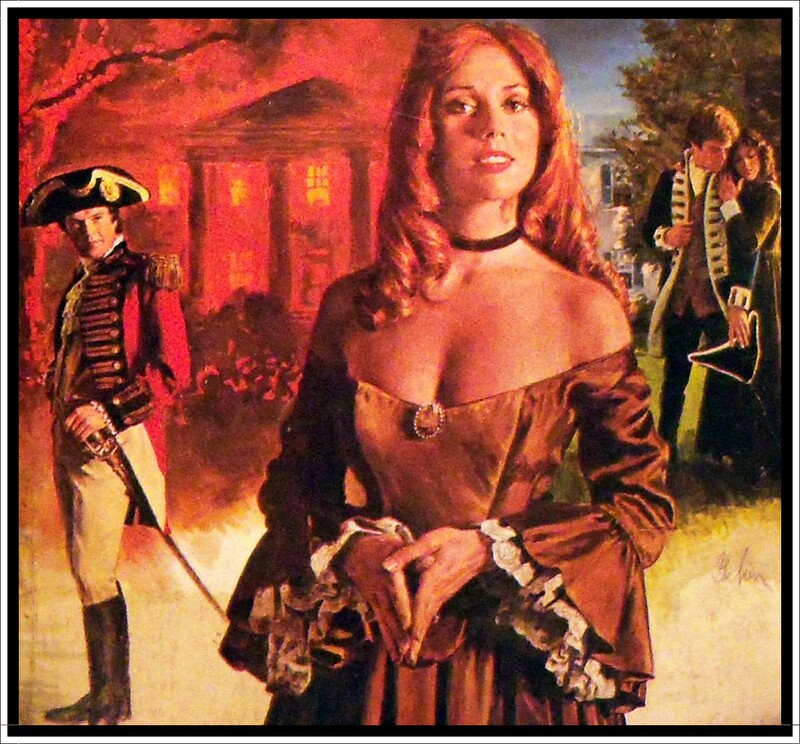 A Beagle Book Gothic, first printing February 1975. Cover art Charles Gehm. The heroine of this story, Helen, has been left financially ruined and emotionally shattered after her husband and only daughter are killed in a tragic car accident. Three months on and she is now starting to put the pieces of her life back together again. 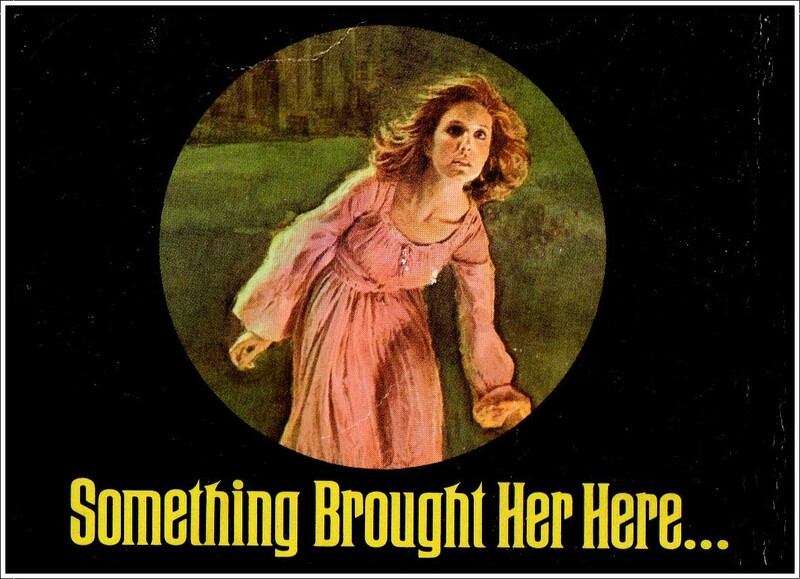 We meet her just before she is due to start her new job as a teacher in the little New England town of Wertham, located at least six states away from the crippling memories of her former home. Resisting the urge to explore those dim, ghostly corridors in the dead of night, Helen U-turns out of there and finds herself a much more convivial place to stay a little ways back down the road. Run by the ever hospitable Martha, Groves Lodge boasts great home cooking and sumptuous bath tubs of palatial proportions. After a mouth-watering casserole and a luxurious bubbly soak, Helen is all set for a wonderful night’s sleep before resuming her journey. And that’s when her nightmare begins…. Regulars to these pages will know how I love old family curses – or cursed old families for that matter – so I was looking forward this one. And right from the start, The Reimann Curse lured me in with its sympathetic heroine, descriptive prose and deft gothic touches of mystery. Unfortunately, as with many gothics tackling the theme of ancestral curses, there is rather a lot of overly complicated back story, with much of the exciting stuff having already happened somewhere far back in the annals of Reimann family history. This meant The Reimann Curse was a little on the light side when it came to action and suspense in the here and now – instead of actually getting caught up in anything particularly exciting, Helen spent a lot of her time in long discussions with various locals detailing the dastardly deeds of times gone by. This made it easy for me to drift off and lose the thread of the story at times. She did take a lot of nice long baths though. And things did get a lot more exciting towards the end, with a dramatic life and death struggle over an open grave, in which Helen was able to prise a satanic idol from the skeletal clutches of a Dead Person Done Wrong (and buried alive no less), smashing the cursed stone to smithereens against the nearest gnarly oak – all the while deftly avoiding being hit over the head by a mad man with a shovel. There were some nicely done flashbacks interwoven within some scary dream sequences and the fate that befell Helena Reimann (whose spirit was the one haunting our Helen) was a truly shocking one. Jean DeWeese is a pseudonym for Thomas Eugene DeWeese, an American born in 1934 and a writer of mainly science fiction. He’s written over forty books and I would definitely give another one of his gothics a go. The cover art is by Charles Gehm. I reviewed another book with one of his covers ages ago – Stone of Blood – but couldn’t figure out the signature. 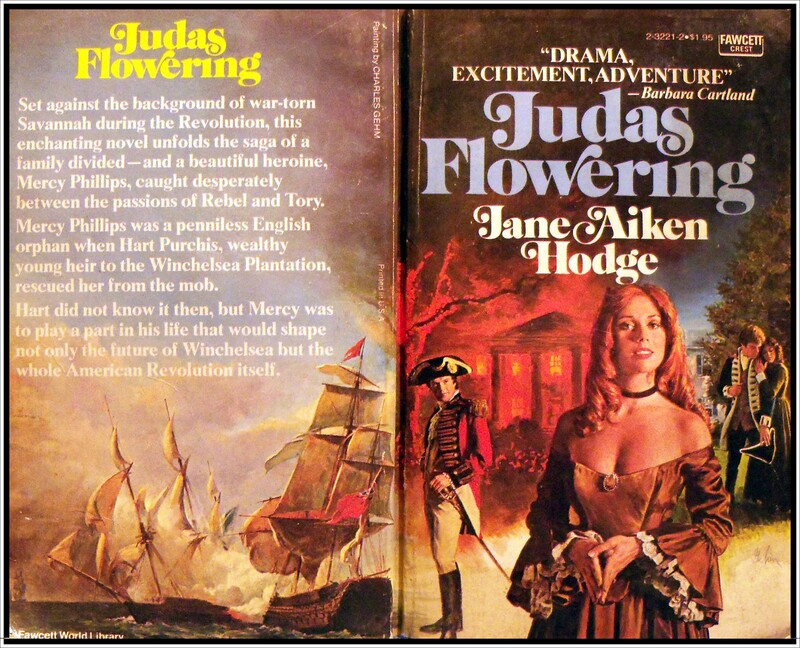 A few months back I came across a lovely historical romance by Joan Aiken, (pictured below). 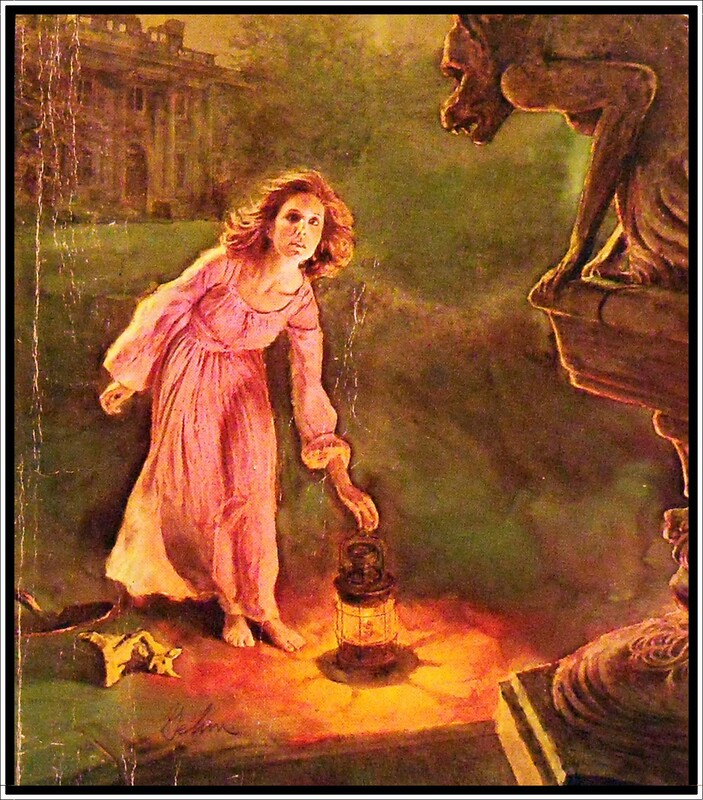 As well as showing the rather distinctive signature to the bottom right of the front cover, the publishers rather helpfully printed the name of the artist on the back. 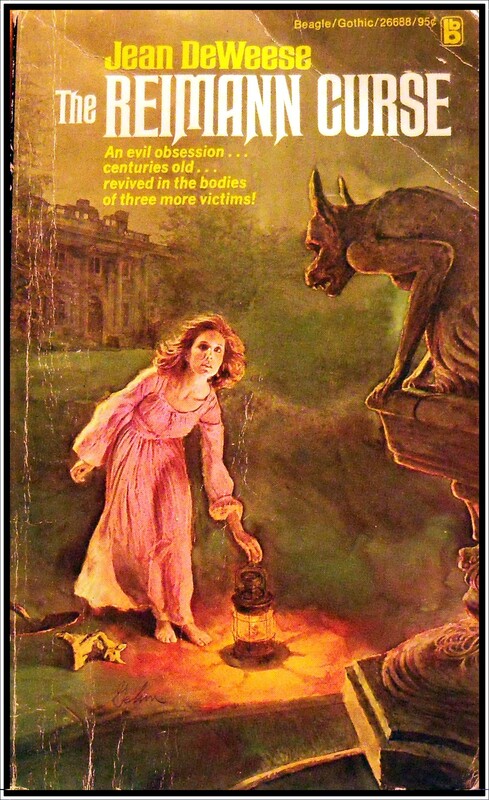 So, for the page-turningly thrilling climactic ending, as well as its gothic depictions of dastardly deeds, The Reimann Curse gets a four out of five. With bonus points added for all the lovely bubble baths.